Infants whose mothers had a higher level of a particular type of vitamin B during pregnancy have a lower risk of eczema at age 12 months, new Southampton research has shown. The study from the Medical Research Council Lifecourse Epidemiology Unit, University of Southampton, is the first to link maternal serum levels of nicotinamide, a naturally occurring vitamin, and related metabolites to the risk of atopic eczema in the child. Nicotinamide is a form of vitamin B3. Its level is maintained through intake of foods such as fish, meat, chicken, mushrooms, nuts and coffee as well as tryptophan, an amino acid found in most proteins. Nicotinamide and related nutrients are important for the body’s immune responses and energy metabolism. 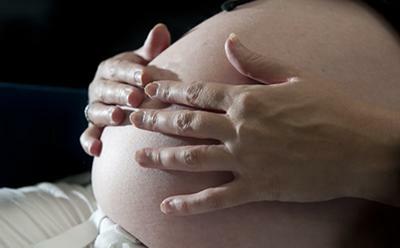 The research, published in Clinical and Experimental Allergy, assessed the amount of nicotinamide and related tryptophan metabolites during pregnancy in 497 women that took part in the Southampton Women’s Survey. The rates of eczema in their children at ages 6 and 12 months was studied. Results showed that offspring of mothers with higher levels of nicotinamide had a 30 per cent lower chance of developing atopic eczema at 12 months. There was an even stronger association with higher levels of anthranilic acid, a tryptophan metabolite. Nicotinamide can improve the overall structure, moisture and elasticity of skin and therefore could potentially alter the disease processes associated with eczema, the researchers say. The study showed a gradual association between higher maternal nicotinamide and anthranilic acid levels and a lower risk of atopic eczema, suggesting that the development of eczema is not simply prevented by the presence of these nutrients.